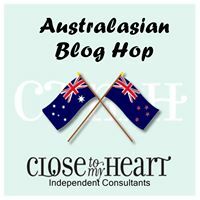 Welcome to the White Pines Australasian Blog Hop. This is a circular hop. If you arrived from Simone’s, Scrappy Matters you are in the right place. Simply read through this post and click on the link to the next blog at the end of it. Keep reading and ‘hopping’ until you find yourself back where you started from. Each blog will showcase a project featuring the White Pines collection which is only available through until the end of December 2015. My project is a wall hanger. You may recognise it as the 5″ x 7″ Hinged Display (Z1838) that usually sits horizontally on a bench. I turned it 90°, added a couple of eyelet hooks to the back and threaded a Base & Bling necklace chain (Z3160) through the eyelets. My plan is to add a family group photo in the largest space and couples photos of my 2 kids with their partners in the 2 smaller spaces. I used goodies from the White Pines Scrapbooking WOTG (G1098), some Bitty Sparkles (Z1263) and Red Bead Charms (Z3139). The following tips will explain how I filled the decorative sections. Cut the blue print paper as per instructions on the stamp carrier sheet and use the stamp included in the WOTG with Fern ink (Z2650). Stamp it again on a scrap with Cranberry ink (Z2116), cut just the ‘Christmas’ and layer this with foam tape. Last of all colour with the Carmine Shin Han Marker (Z2448) over the top of the Fern ink and added some bitty sparkles. This one was cut using the Cricut Artistry Cricut Cartridge (p 48). The year was stamped using Typography (E1032). Finish off with Red Enamel Gems and Bitty Sparkles. The 3D trees are fun! Cut 3 trees from Fern Cardstock as per instructions on WOTG stamp set and stamp with Fern ink. Cover the stars with VersaMark ink (Z891), dip them into the jar of Silver Embossing Powder Z2067) and heat them up. To create a bit of variety in each section, add some polystyrene behind some of the papers. The best adhesive for the job is Glue Dots (1772). Use them to stick the polystyrene to the display tray and then to stick the paper to the polystyrene. 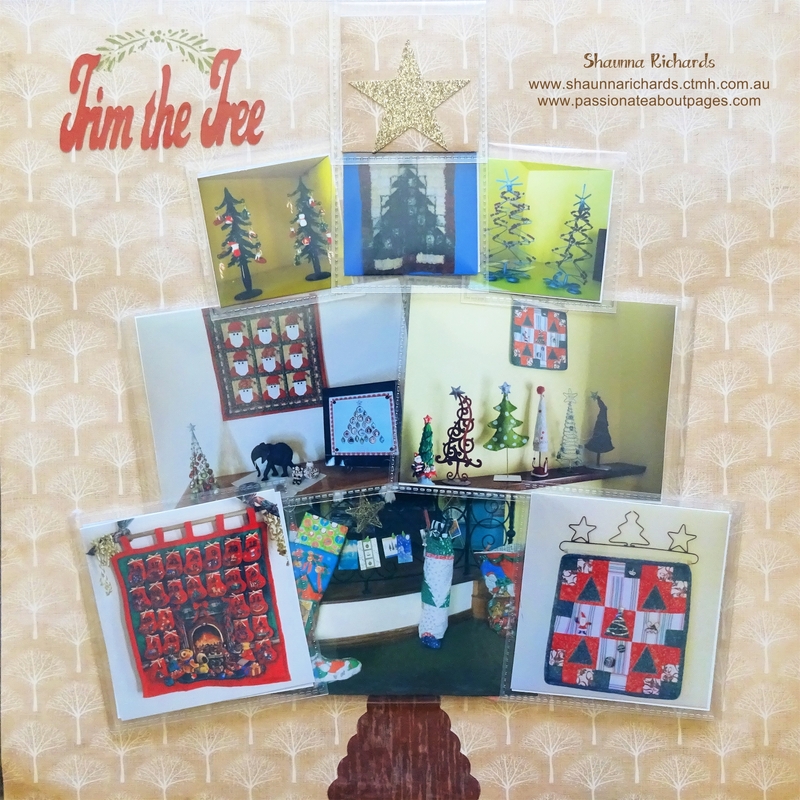 White Pines Workshops on the Go for cards and scrapbooking, papers, assortments and compliments can be ordered from your CTMH Consultant . It’s a featured collection all November and December so keep your eye out for more inspiration through to the end of the year. Did you like this wall hanging? I’d love you to leave a comment for me before you click on the underlined link and move on to Kara’s Blog , Creating with Kara Davies, to see what she has designed for you. If you are a regular reader of this blog, you know I LOVE Flip Flaps! Today I have a super cute way to display photos of some of the decorations you use at Christmas time. All the Flip Flaps come from the Small Assortment pack (Z1747). They are attached to the OUTSIDE of the page protector. Begin at the bottom and work your way up. I found the easiest way to do this was to place the empty page protector on my Versamat so I could see the gridlines through it. This helped to centre the design and keep the rows even. When all the flaps are flipped you see my beautiful family enjoying last Christmas. The photo of the tree is stuck to the White Pines paper (Z7200B) inside the protector. I created the photo mat & title using the Artbooking Cricut Cartridge. Super easy and lots of fun. No-one can resist the urge to flip those flaps and discover what they are hiding. Order your Flip Flaps here. 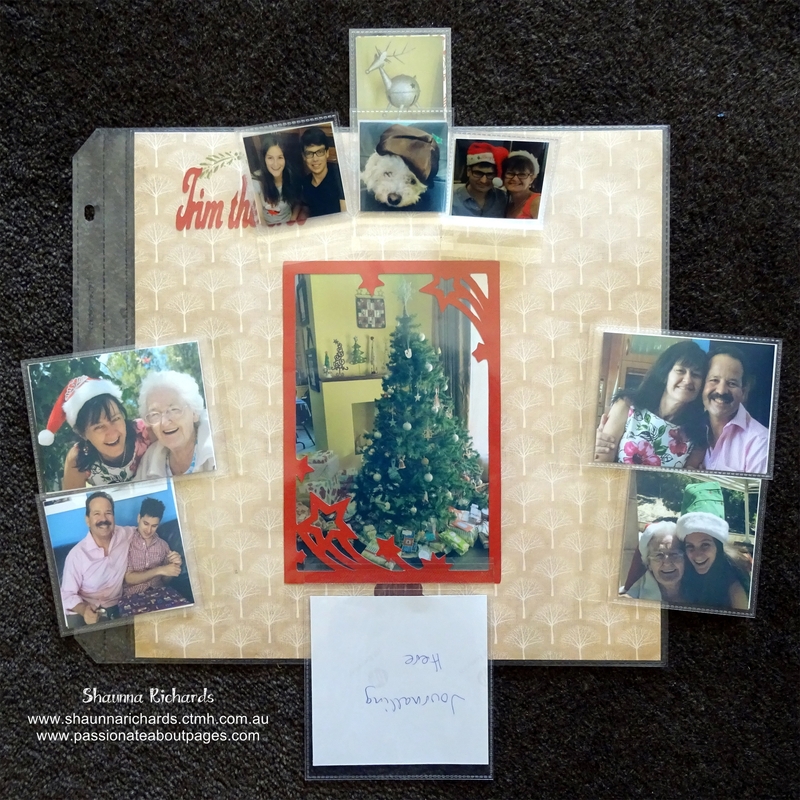 Like a kit with the Flip Flaps, page protector, White Pines paper, pre cut photo frame and a BONUS tree cut you can place behind the main photo? I can do that for you – just $12 plus postage. Email shaunnarichards@bigpond.com and we’ll get it organised.